Creativity is an essential factor in creating a successful business. One recent study shows that 82% of companies believe there is a strong connection between creativity and business results. So how do you inspire creativity in your workplace? Here are a few tips.. Whether you’ve made a conscious decision via a mission statement, or you manage your operations in accordance with your personal principles, your business runs on a certain set of values. Take the image above. Maybe you constantly strive to be kind, or to be optimistic, or to be grateful. We could all use a little reminder. Instead of stuffing those values in an employee handbook in the bottom of your desk drawer, why not hang them on the walls? 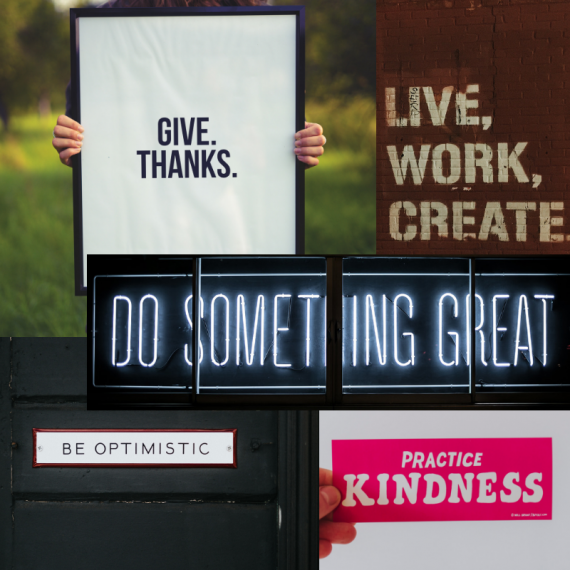 Far from the generic posters with one-word slogans (the ones with the eagle in-flight above the word “success”, for instance), these are visual representations of your company’s philosophy. 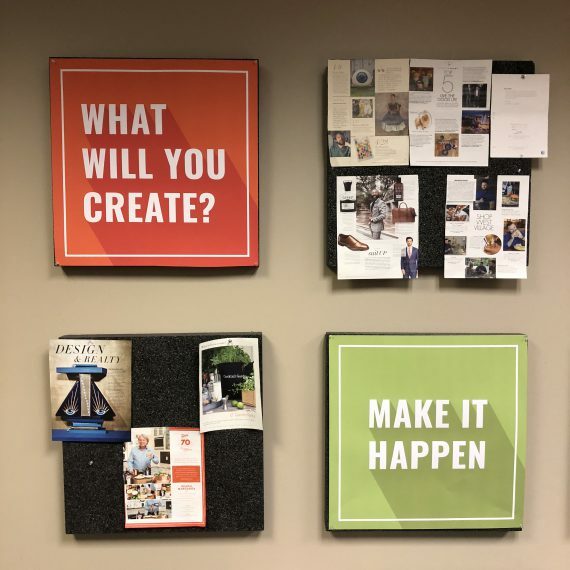 In our marketing department, our graphic designers created this mood wall to get us pumped for work. Notice that the posters promote our goals to be creative and remain diligent. Rules and best practices are an important aspect of any successful business. None of us want to see Jed from accounting show up in his swimming trunks and his favorite bathrobe. It’s obviously important to apply structure where it is necessary. That being said, it turns out that scheduling is one area that can benefit from flexibility. 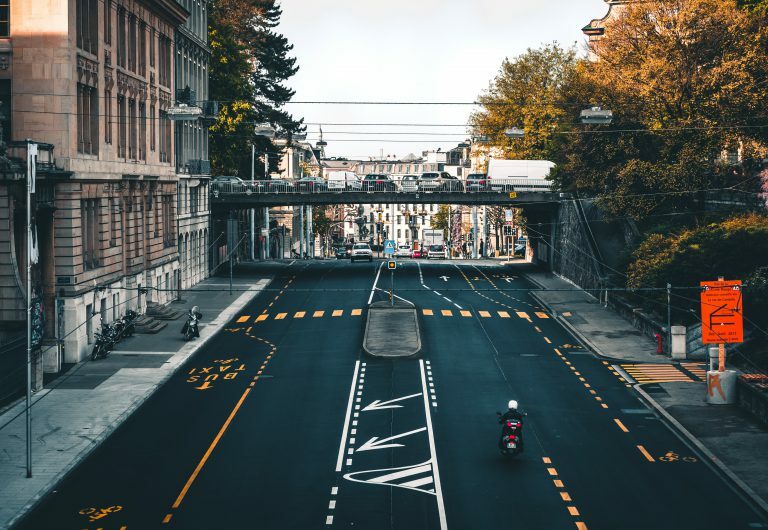 Here at SAGE, certain departments utilize flexible schedules to avoid high-impact traffic times, therefore avoiding stressful driving and spending a total of 5 hours less on the road each week! Collaboration, and teamwork, often means breaking down barriers. We’ve seen this in thousands of businesses that now operate in open-concept office spaces like Google. If you create an environment that is just as open-concept as your home, you also need to create private space as an alternative. Studies have shown that people are often more productive and more successful when they are able to break down into smaller groups/“huddle-spaces”. Your employees might not wish to convey their ideas to all 20, 50, 150 of their co-workers. 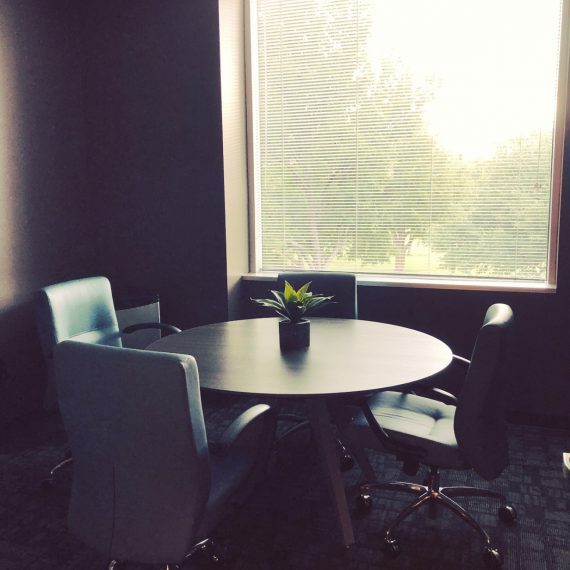 Instead, offer them smaller meeting spaces they can book for smaller meetings and consultations. Create space for your employees to grow, and they may come out more creative than ever.